JDC is helping meet Japan's most critical and immediate needs following the recent earthquake and tsunami. 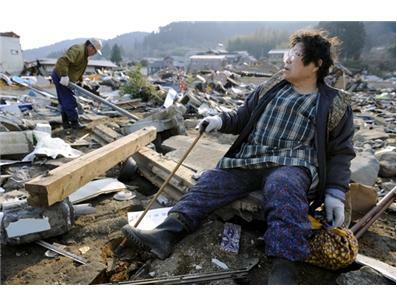 Japan's recent 8.9 earthquake, the most powerful to hit Japan in more than 100 years, has killed thousands of people and caused much damage through massive flooding. In the wake of this disaster, JDC reached out to the Japanese Government to offer its expertise in earthquake and tsunami-related response. JDC has substantial experience in post-tsunami and earthquake recovery through its relief and reconstruction projects in Thailand, Sri Lanka, Indonesia, Maldives and India following the Indian Ocean Tsunami of 2004. At present JDC's response includes working with the Jewish Community of Japan to distribute emergency supplies, including food and hygiene products, to the hardest-hit Miyagi and Fukushima prefectures through JEN, a Japanese NGO. JDC is also working with the Afya Foundation to provide a critically needed water shipment. JDC is collecting funds for these critical relief efforts. Since 1914, JDC has given global expression to the principle that all Jews are responsible for one another. JDC is the world’s leading Jewish humanitarian assistance organization, working in more than 70 countries and in Israel to alleviate hunger and hardship, rescue Jews in danger, create lasting connections to Jewish life, and provide immediate relief and long-term development support for victims of natural and man-made disasters. JDC coordinates its disaster relief activities with the U.S. Department of State, USAID, Interaction, the Israeli Foreign Ministry, Israeli relief agencies, and the United Nations. JDC has provided immediate relief and long-term assistance to victims of natural and manmade disasters around the globe and continues to operate programs designed to rebuild infrastructure and community life in disaster-stricken regions. JDC worked in Japan before the American entrance into World War II, helping support Jewish refugees in Japan who fled Europe.